When I see a recipe that I like in a cookbook or on a blog, I will usually try to adapt it in some way to make it more of my own. But sometimes, a recipe looks perfect just the way it is. I find that this is most often the case with baking and dessert recipes - any changes you make will likely affect the way something turns out, and not necessarily in a good way! So in the spirit of honouring original recipes, I thought I would dedicate a post to recipes from other blogs that I have made recently and loved. And to narrow down the list a bit, I'll focus on vegan treats - cookies, cupcakes, and other bite sized goodies! Note: All photos below are my own - just click on the links to see the original post and recipes! This may be the first time I have ever baked anything with sprinkles, and I have to say, I loved them! Not only were they adorable, but they were so tasty too! I liked the texture - nice and soft, almost like raw dough balls. 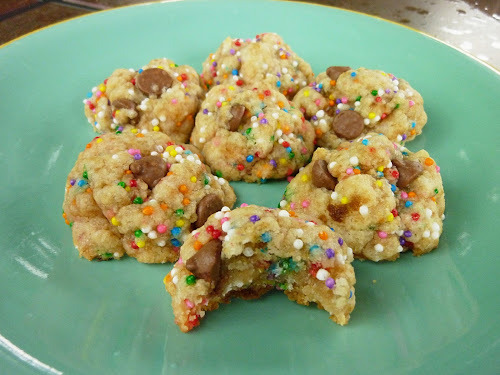 I intended to make these for kids, but I still ate more than my share myself! I love coconut and these were definitely full of it! I made both the chocolate and vanilla versions for my family, but I liked these vanilla ones better. I love the idea of baking with beans - I've posted my version of chickpea granola bars, but before those I made these chickpea blondies with coconut - they were so good! 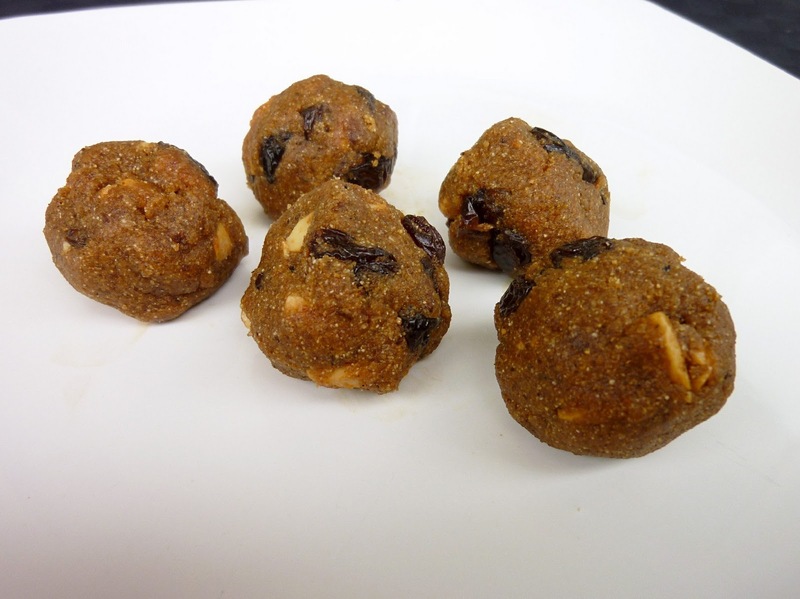 These tasted like a decadent treat, even though they were actually very healthy! I used cappuccino-flavoured soy milk to bring out the coffee flavour even more. These bite sized cookies tasted like a much healthier version of carrot cake, without the frosting. They made a great snack or dessert! 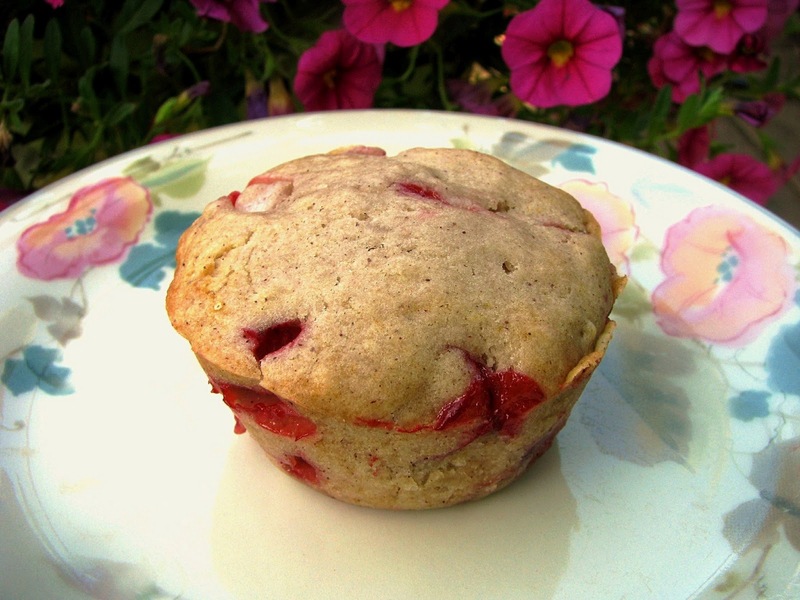 I made these a couple of times during fresh strawberry season - it was so easy to whip up a sweet treat for myself for breakfast, without needing to make a whole batch of muffins. These cookies from Heidi Swanson's latest cookbook were highly recommended to me by my sister, so I had to try them myself. She was right, they were so tasty and full of goodies - peanuts, chocolate chips and even popcorn! The people I shared them with raved about them too. I can't tell you how much I absolutely loved this breakfast cake. The best part was that it includes actual banana chunks instead of pureed bananas. I also highly recommend the peanut butter-banana glaze on top - I don't know why I had never thought of it before! I haven't had much success so far in my attempts to make Indian sweets at home. I came closer with these sweet laddoos full of chopped cashews and raisins, but I still made some mistakes like almost burning my flour mixture and not adding enough liquid to keep them from drying out. I still enjoyed them though! These frozen granola treats were great during the summer. I enjoyed them straight from the freezer, crumbled over frozen yogurt, and also softened up a bit to room temperature. I followed the advice at the end of the post and left out the chocolate chips. Thank you for trying the laddoos!. they look great! not sure why they dried up. besan flour laddoos do tend to feel hard on the outside if kept out for too long(esp with the less fat), but usually are crumbly from the inside. I am glad that u liked them! 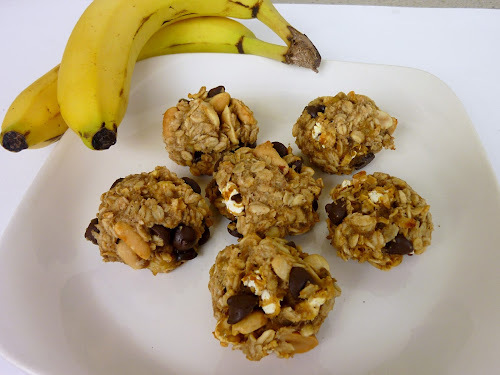 i am going to try the carrot cake cookies and banana breakfast bars.. they just look and sounds so good! Oh wow, I think this is one of my favorite blog posts anyone's ever done! 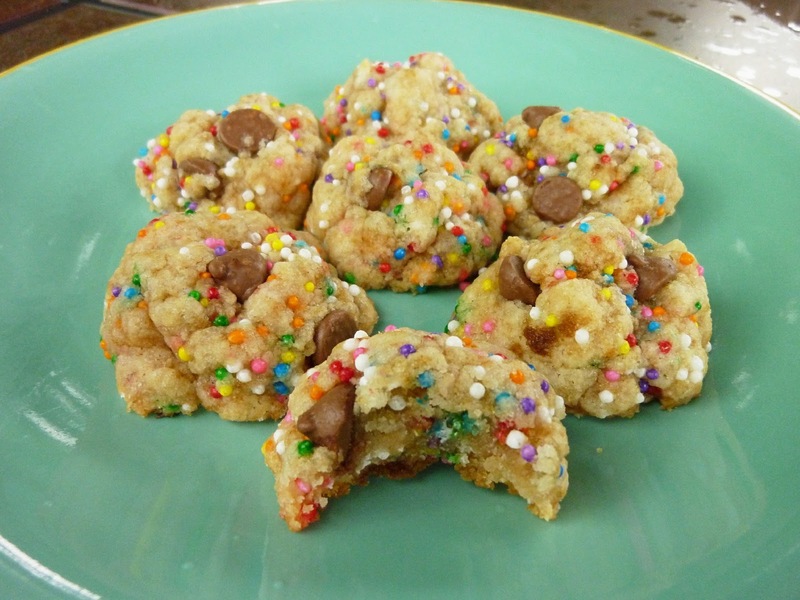 There's just SO much good-looking food: the carrot cake balls, the cappuccino muffins... and your funfetti cookie dough ball picture is SO adorable!!! I am so honored it's my recipe, because you made it look so extremely cute! Thanks for the comments - I'm so glad you all enjoyed this post! I had fun trying so many great recipes from these blogs, and now being able to share them here! @Richa - the way you described the laddoos does sound like mine, so maybe they did turn out right! Hey dear, these all dishes asking me to suddenly increase my weight! keep going.. i m proud of u..
Don't worry, these are all pretty healthy - otherwise I would be much bigger too! cool! Glad to hear the raw macaroons turned out!